NC’s Habitat for Humanity affiliates have produced more housing than any other state in the country, with the exception of Texas and Florida. This has been the case due to a number of factors, including availability of affordable or donated land, strong and dedicated leadership, important and robust partnerships with key cities, towns, and counties in North Carolina, a close partnership with the NC Housing Finance Agency, key corporate partners, and active and sustained involvement by churches and other religious groups throughout the state. In order to find an affiliate near you, go to the Build section on our Home Page, and search by city. Habitat has an open-door policy: All who desire to be a part of this work are welcome, regardless of religious preference or background. Habitat does not proselytize. We have a policy of building with people in need regardless of race or religion. We welcome volunteers and supporters from all backgrounds. Believing in providing a hand up rather than a handout, Habitat asks that partner families’ contribute “sweat equity” to building their own home and the homes of others in community with volunteers that come together to build and repair homes. Qualified families purchase Habitat houses with a uniquely affordable mortgage (usually at 0%). Critical home repair projects in neighborhoods where Habitat is investing are also made possible with short-term, affordable loans. More often, the repairs are completed at no charge to the homeowners. Currently, more than 1,500 affiliates in the United States and 83 Habitat global partners around the world coordinate efforts to build, rehabilitate and repair homes with those who cannot access conventional home loans. 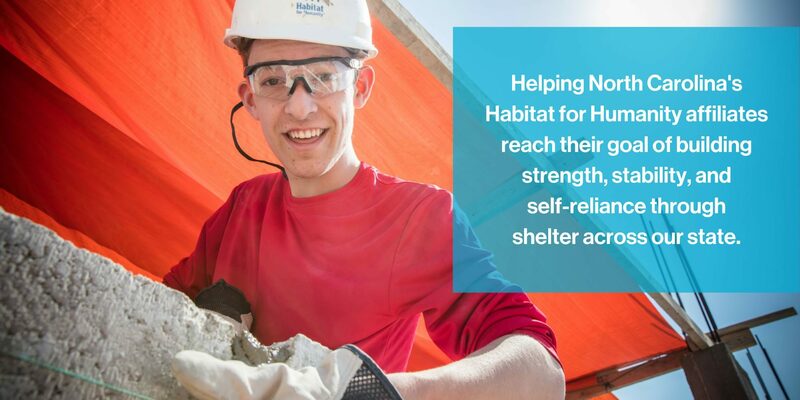 To date, world-wide, Habitat has facilitated the building, renovation and/or repair of more than 600,000 homes and has sheltered more than 3 million people. Through its Tithe Program, HFHI helps to eliminate poverty housing in its work around the world.